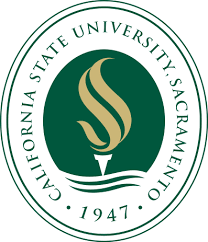 A vibrant intellectual environment: Sacramento State has a diverse student body of 28,500 and a highly knowledgeable faculty, with 98 percent of our full-time professors holding the highest degree in their fields. Each year, our seven colleges award 6,500 degrees to students who pick from 58 undergraduate majors and 41 master̠s degrees, six post-baccalaureate certificates and two doctoral degrees. Our General Education Honors Program is tailored for high-achieving freshmen.